High Productivity. High yield supplies up to 3,000 pages mono and 3,500 pages colour. Also has extensive paper handling with 650 pages standard capacity, 2 paper sources and automatic duplexing. Share the printer across workgroups with high-speed networking. And with a standard capacity cartridge set included in the box, you’ll be ready for business straight away. Excellent Reliability. Reduce downtime thanks to a monthly cycle of up to 10,000 pages due to the Micro Piezo print head which lasts the life of a printer and a very strong paper feeding mechanism. The Auto Nozzle Check System keeps the print head clean to maximise print quality at any time. Extensive media support. Print on a vast range of media and paper sizes including; letterheads, plain and recyled envelopes. It is also ideal for fast, crisp text or high quality full colour marketing materials. Quality is assured in colour, black and white text printing even on plain paper with pigment-based Epson DURABrite Ultra Inks. Prints also dry very quickly and are durable, water and smudge resistant thanks to the ink’s unique resin coating. 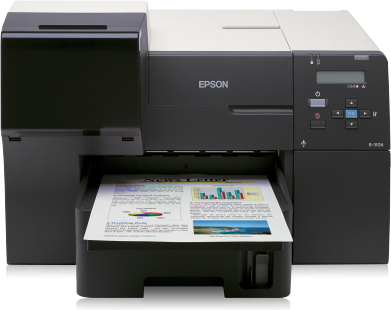 EpsonNet Config 2.2b Mac Software – Download (5.70MB).